France head coach Didier Deschamps has revealed his delight after guiding the nation to their second World Cup title. Les Bleus started the tournament as one among the favourites for the global crown and they duly delivered after they secured a comfortable 4-2 triumph in Sunday’s final at the Luzhniki Stadium. 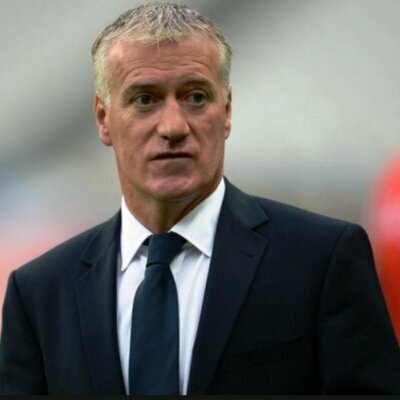 With the result, Deschamps became only the third person to win the World Cup as both a player and a manager and he was ecstatic to have achieved the feat. Speaking to reporters, he said: “Professionally there’s nothing above that. Maybe they’re going to win other titles and I don’t want to undermine other titles, but when you are a professional footballer there’s nothing above that. Over the course of the campaign, France were particularly tentative in terms of their attacking brand of football but they managed to reserve their best for the final where they secured a 4-2 win over Croatia. With the result, the European heavyweights have won their second World Cup crown and the focus should now switch to Euro 2020 where they should fare well with the current crop of young players. Meanwhile, the same cannot be said of Croatia, who could have huge task on their hands to replicate the success of the 2018 World Cup. Much of their golden generation are aged 29 and above and their progress in the future tournaments may depend on whether they can make a seamless transition without any setbacks.